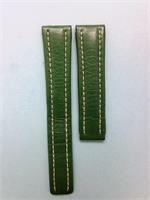 New green Shark strap, 20-18mm, length 120-80, with folding clasp. 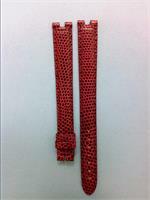 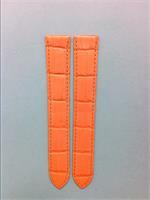 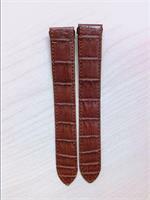 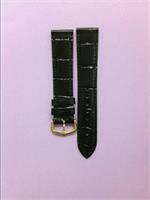 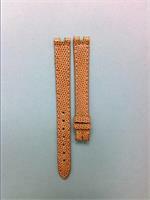 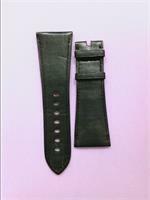 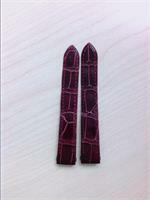 New Brown Crocodile strap, 24-20mm, length 110-90, for deployment buckle. 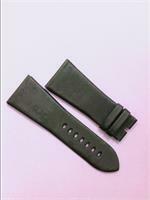 New Green shark strap, 20-18mm, length 120-80, deployment buckle. 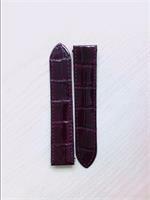 Shiny Bordeaux red Alligator Strap, 19-18mm,100-100mm, for DADB (double adjustable detachable buckle)of 18mm for ROADSTER LM Automatic. 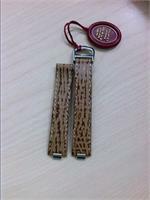 Interchangeable straps. 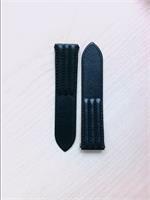 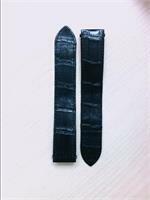 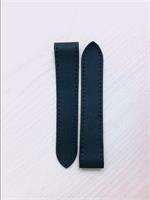 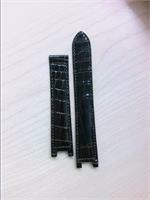 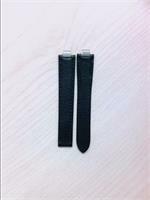 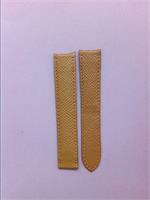 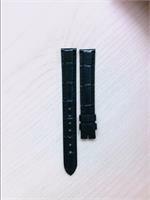 Black Toile de Voile Strap, 20-18mm, length 105-105mm, for DADB (double adjustable detachable buckle) of 18mm, for SANTOS 100 MM Automatic. 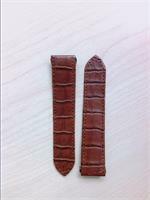 Light brown shark strap, 16-14mm, length 100-85mm,for steel ADB (adjustable detachable buckle) of 14mm (VC270156), for Cartier models 21 MUST LM. 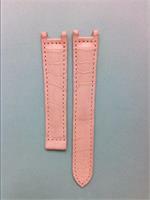 Matte Pink Alligator Strap, 18-16mm, 115-85mm, for ADB (adjustable detachable buckle)of 16mm, for PASHA de Cartier 35mm Quartz/Mechanical/Automatic. 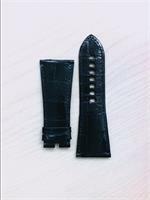 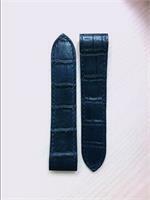 Semi-matte Navy Blue Alligator Strap,23-21mm, length 115-115mm, for DADB (double adjustable detachable buckle) of 21mm, for SANTOS 100 LM Automatic.